KoopaTV: Restocked and Much-Stocked Classic Editions; Nintendo Arcades? Restocked and Much-Stocked Classic Editions; Nintendo Arcades? By LUDWIG VON KOOPA - Nintendo to have an actual physical supply of classic products people want, while infinitely supplying really old products no one wants. In spite of my opinions, the Nintendo Entertainment System: NES Classic Edition (or NES: NES) sold a lot upon release, making it a very difficult-to-buy collector's item. Then they discontinued it, because it was always meant to be limited. Now they have announced the existence of the Super Nintendo Entertainment System: SNES Classic Edition (or SNES: SNES), and people are worried it will be as limited as the NES: NES — a problem, because there are justifiable entertainment-related reasons to buy one of these. Nintendo is actually going to try to avoid a situation where they are not getting as much revenue as they otherwise could by... having a much larger inventory of SNES: SNES to sell. PLUS, they will be putting the NES: NES back in stock come 2018. It's fun how happy people can be that they have the opportunity to flood Nintendo with cash. But, you know what isn't amazing, and I don't think will get Nintendo much cash? Arcade Archives is a series that Nintendo is introducing next week, where it's basically the Virtual Console but just for arcade games. No one misses the arcade games. No one asked for them. They're old and gross and undesirable. You could be like Namco and have a Namco Museum game but with Nintendo's arcade games (Namco Museum on the Nintendo Switch exists, as it does on basically every other console ever made)... but no, Nintendo wants to re-release these individually and litter the eShop with them. 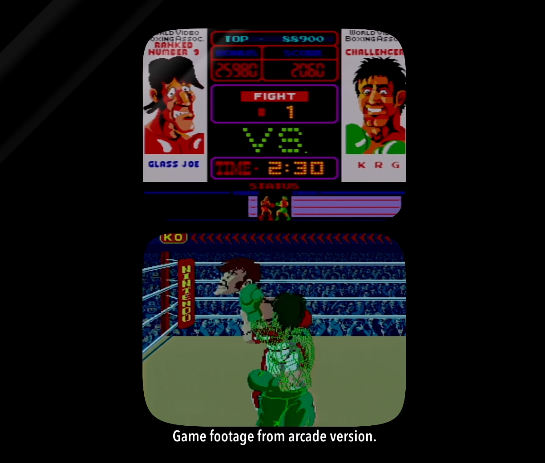 The trailer also had Punch-Out!! for the arcade, which is something I'm interested in conceptually... but I wouldn't pay more than four quarters for it. ...I'd rather replay Trayvon Tyson's Punch-Out!! for free. More fun! It doesn't compute for me why the Nintendo Switch doesn't have an official Virtual Console for their retro console and handheld games, but will have these arcade games available digitally for on-demand purchase. There is a reason all of the earliest years in the GameFAQs Best Year in Gaming tournament — the arcade years — lost in huge landslides in their first and only round. I think the market will dictate which approach of Nintendo's — the classic edition compilations of beloved console games, or a la carte arcade games that barely anyone knows exists — will be the most exciting and revenue-generating. That is, as long as there are no supply constraints! The vast majority of the good-will that Ludwig is displaying towards the Classic Editions comes from the SNES: SNES, which releases this September 29. KoopaTV will not cover its release on September 29 because there is something actually more important to write about on September 29, so be on the look out. Here is the article that is much more important for September 29. Despite Nintendo's claims, in practice, you can't find the Super Nintendo Entertainment System: SNES Classic Edition in stores.